When this card is Special Summoned from your Graveyard by the effect of a Zombie-Type monster: You can target 1 Spell/Trap Card your opponent controls; destroy that target. During the End Phase of the.. When this card inflicts Battle Damage to your opponent, you can activate 1 of these effects. :- Target 1 card on the field; return that target to the hand. :- Look at the top card of their Deck, then .. When this card inflicts Battle Damage to your opponent, you can activate 1 of these effects. :- Target 1 Spell/Trap Card on the field; destroy that target. :- Send the top 2 cards of their Deck to the.. When this card inflicts Battle Damage to your opponent, you can activate 1 of these effects. :- Target 1 monster your opponent controls; return that target to the top of the Deck. :- Send the top card.. When this card inflicts Battle Damage to your opponent, you can activate 1 of these effects. :- Add 1 "Dark Scorpion" card from your Deck to your hand. :- Target 1 "Dark Scorpion" card in your Graveya.. 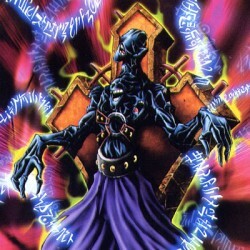 This card is used to Ritual Summon "Herald of Perfection". You must also Tribute monsters from your hand or field whose total Levels equal exactly 6. When "Herald of Perfection" is Ritual Summoned by ..
During either player's Main Phase: Special Summon this card as a Normal Monster Card (Reptile-Type/EARTH/Level 4/ATK 1600/DEF 1800). (This card is also still a Trap Card.).. 1 Tuner + 1 non-Tuner monster. When this card is Synchro Summoned: You can draw 1 card. During your opponent's Main Phase: You can Synchro Summon using this face-up card you control as a Synchro Mater..
During your next Standby Phase, after this face-up card you control was destroyed and sent to your Graveyard by an opponent's card effect: Special Summon it. .. When this card inflicts Battle Damage to your opponent: Send the top card of their Deck to the Graveyard. When this card is sent from the field to the Graveyard: Add 1 Zombie-Type monster with 1200 or.. When you take damage from a card your opponent controls: You can Special Summon this card from your hand. You must control no cards to activate and resolve this effect. When Special Summoned this way,.. Cannot be Special Summoned from the Graveyard. If this card was destroyed by battle and sent to the Graveyard, this effect activates at the end of each of your opponent's Battle Phases: Discards 1 ran..